This is a book that I read not because the author is a friend of mine, or because I got the e ARC on NetGalley, but because I needed something fun to read and I found this. When I asked for a recommendation for a good steampunk adult novel, a friend on Twitter recommended Wicked As They Come and I bought it. Wow am I glad I did because this novel had just the right mixture of romance, humor, and steampunk that I was totally hooked. Even better, I got to meet the author, Delilah S. Dawson, at the RT Book Lover's Convention when I was in New Orleans and picked up a signed copy! She was very sweet and fun, just like her book. She is one of those authors that makes you want to support not just her great books, but her as well. 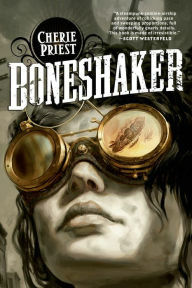 If you enjoy steampunk filled with humor and romance then you have got to check this out. It deviates from a lot of traditional steampunk in that it doesn't take place in London, or even in this world, but you'll love it, trust me! 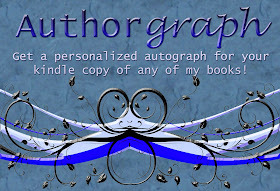 Awesome you got to meet the author. I like steampunk so I may check this out. She was so sweet too! I love it when an author of a book I've enjoyed it nice. It's a great light and humorous read. Steampunk is so growing on me. This one sounds awesome. Thanks for sharing it! Me too, though it has to be unique and this one definitely was! Me too! And that cover certainly doesn't hurt, does it? LOL!